The mt-Domain is the domain of Malta. The mt-Domains are at the GoLive period. We can register available mt-Domains immediately and reliably. You can register your names here at the mt-Domain. 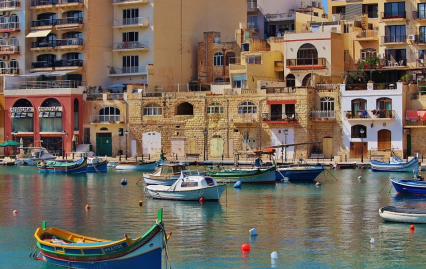 NIC(Malta) is implementing changes in its domain name registration policy in the .mt namespace, which is the top-level country domain for Malta. The new policy will make it possible to register Internet domain names at the second level, directly to the left of .mt. The new policy will become effective as from 1 December 2017. For example, from this date, it will become possible to register myname.mt. Registrations of third level domain names, such as for example myname.com.mt, will remain possible. - More choice – Through the new policy NIC(Malta) will be offering more choice to existing and future registrants in the .mt namespace. - Simpler, shorter names – Domain names under .mt will no longer necessarily require an additional three-letter second level domain name, resulting in shorter and snappier names. The focus of the domain name can be on the registrant’s preferred branding. -Avoids inappropriate labelling – Some domain names do not quite fit within the existing hierarchical structure which categorises a domain name by commercial (.com.mt), non-profit (.org.mt), internet related service provider (.net.mt), educational (.edu.mt) and governmental (.gov.mt) organisation type. Thus, for example, individuals may register their personal domain names without any hindrance. - Follows similar changes in the wider Internet – Other countries have adopted similar changes to their policies, such as for example in the United Kingdom (.uk) and New Zealand (.nz). In addition, IANA has recently introduced a large number of generic top-level domain names which are bound to increase in the future. Therefore, this new policy has been implemented in order for the .mt domain to remain relevant in the evolving Internet.